parashat Pinchas is broken in half. Of 15 Hungarian Torah scrolls only three had plain vavim. These can be seen on the right on the top of the picture. According to rabbi Akiva Eger, the two parts of the vav have to touch each other in order to meet all the requirements of a regular kosher vav. This opinion corresponds to the two Torah scrolls seen at the bottom right of the picture. On the left side we can see ten images with vavim competely cut into two. Normally, they would actually be considered a yod. These letters wouldn't be considered kosher as a vav anywhere else, but in this case they are excepted as kosher by many opinions. 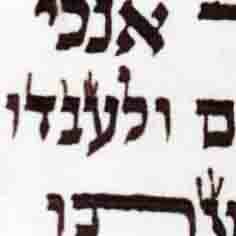 If we find such a vav in a Torah scroll, we shoud not repair it. By doing so our acting would look like a great chutzpa toward our forefathers, as if we are saying that today we know how to write a Torah better. Do you have a source for Rav Yitzchoks Hakohenn Rappaport's teshuvah? 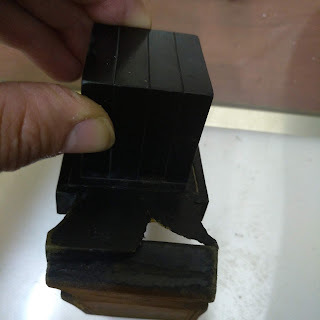 he says he checked 20 sifrei Torah, the most of them weren't broken, two were broken and an other two were already repaired by somebody and the two parts of the vav were reattached. 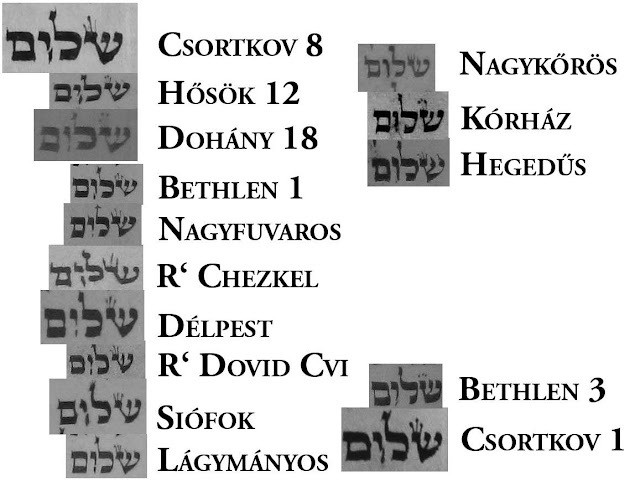 In Torah sheleima R Kasher elaborates on this vav as well. 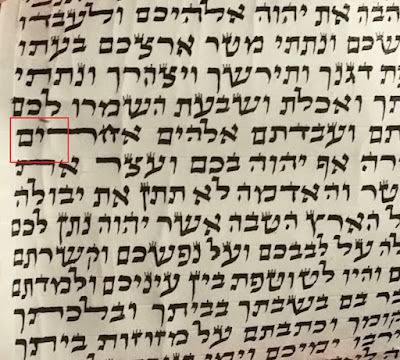 The issue with finding sifrei Torah where the vav is completely cut and leaves a Shiur yud above is that sometimes if the space is large I think it would pasel the Sefer even though its a special case. Ie not that we are fixing it to say we know better but that the sofer just didn't write it correctly, even according to that shita. I haven't found an exact source on the size of the break but if anyone has one I'd be very interested. I would think that anything larger than a normal נראה להדיא (which isn't very big) would be a real problem. Thanks r ' Eli. Bli neder I will give the source. I have seen many times in very old Sifrey Torah small Vov instead of cut Vov. The question is how you interpret "KTIAA" either small or cut in the middle. Thanks, R'Micha - for this timely and fascinating research piece. Yashar ko'akh.